Blending the look of coastal contemporary to a traditional setting is a great way to create a casual comfortable feel. 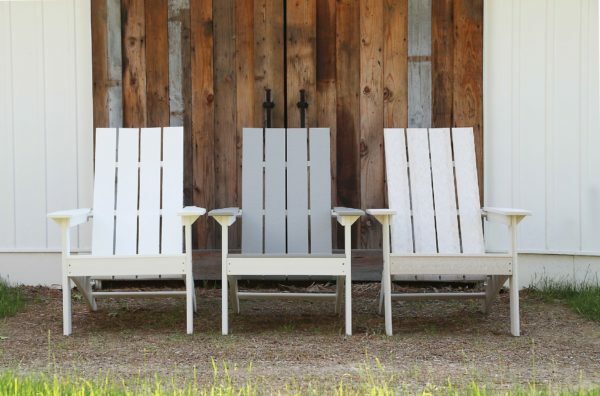 This is a wonderful Adirondack chair, the slightly curved back gives comfort and the 2” higher seat than most Adirondack chairs give you a easy in and out experience. 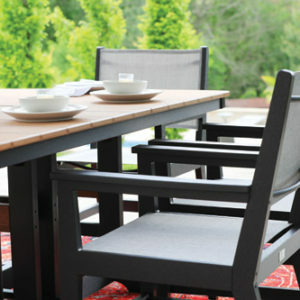 Made from recycled plastic ploy lumber and available in all the colors that are throughout the poly lumber. Warranty is 20 years but the laughter and memories that you will enjoy in this chair will last a lifetime.